Good morning. 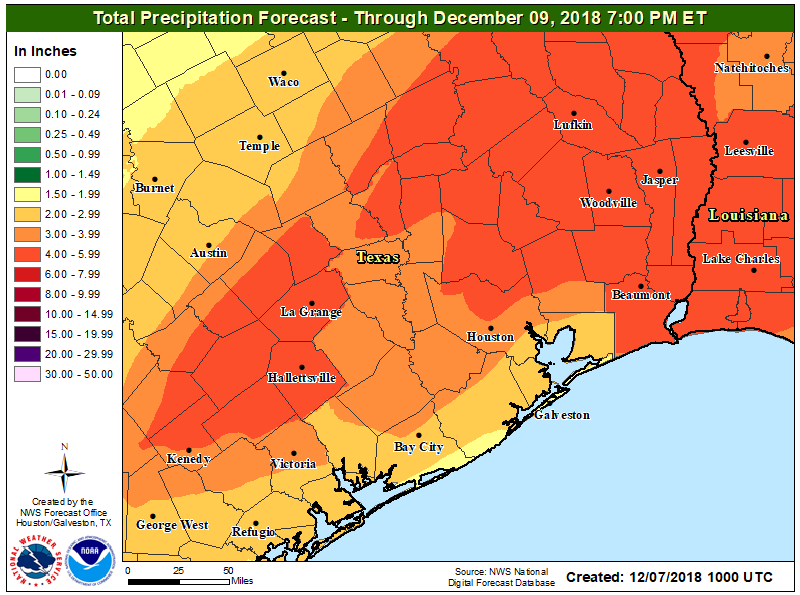 Let’s get right into the forecast here, as a significant winter rainstorm begins to bear down on Southeast Texas. First off, Flash Flood Watches will go into effect for the entire region today and tonight. 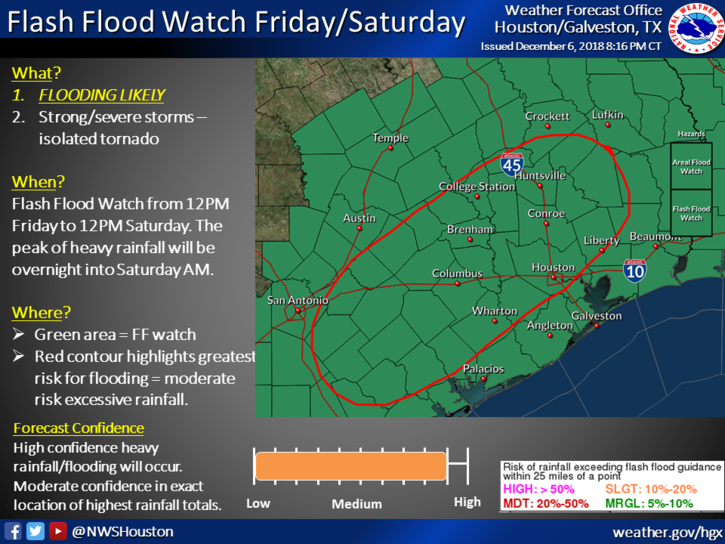 This means conditions will be favorable for flash flooding, street flooding, and some substantial rises in area creeks, rivers, and bayous. If you’ll be out and about tonight, you will want to have a way to receive updated weather information. Space City Weather will be updated through the night as well, but make sure you have a couple sources of the latest information and a way to see radar. Also, something that’s occasionally underappreciated: If possible, please make sure your neighborhood storm drains are free of leaves and debris. We are “past peak” fall foliage in Houston now, and many leaves have found their way to storm drains and gutters. Clearing these areas allows water to drain more effectively and will often mitigate some street flooding issues. Radar this morning is quiet in Houston, but scattered showers have developed northwest of the city. Expect scattered showers and the possibility of some thunder to continue through the morning hours north and west of Houston. This area should advance closer to Houston as well, bringing some rain chance to the city by late morning. 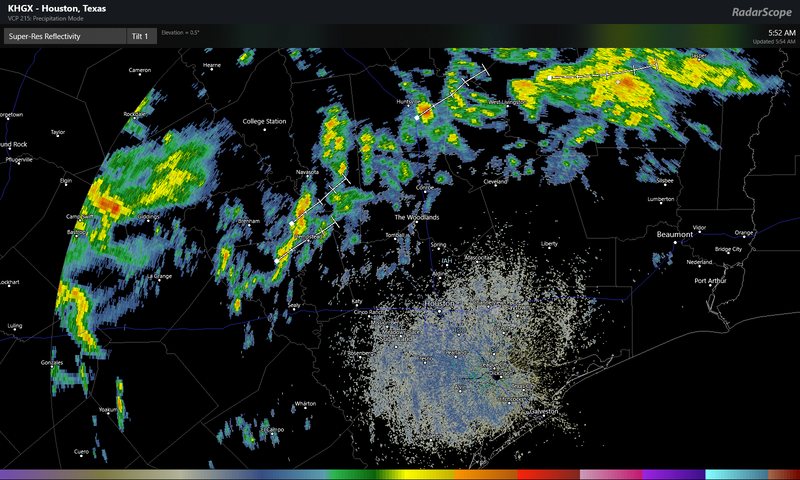 Expect showers and thunderstorms to become more numerous and widespread as we go through the afternoon, especially along and northwest of US-59. We will want to watch this to see if rain can advance farther southeast than expected, as this could push the steadier rains more into the central part of the Houston metro, rather than it being skewed northwest. Regardless, I don’t anticipate that we’re going to see a lot of flooding issues around the region through afternoon. That risk ramps up tonight (read more below). But still, I would expect that we could see on the order of a half inch to two inches of rain on average during the daytime today from the city of Houston to the north and west, with lesser amounts south and east. However, we will need to watch southern and eastern areas later this afternoon for some isolated potentially strong to severe storms. 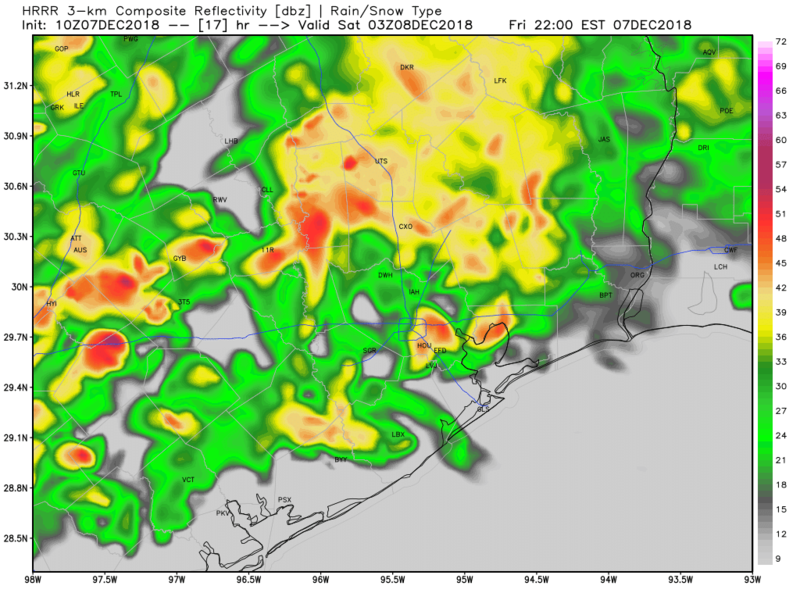 Steady rain could taper to scattered showers in spots, but in general, expect occasional showers, downpours, and thunderstorms through midnight, with the greatest concentration from the city of Houston to the northwest. The image above is a forecast radar for 9 PM this evening. You get a sense of the patchy nature of things. Not everyone will be in downpours constantly, but some areas will get hit more often than others. If you get into a lull in the rain, just be advised that the event isn’t over and heavier rain will be incoming overnight from the west. This will be the main event. A strong, slow moving line of thunderstorms will plow across the entire region around or after midnight. This band of storms will be capable of producing 1-3″ of additional rain, or more, in short order as it moves west to east across the area. After today’s rains, grounds will be saturated, and runoff will be quicker than usual. This will be the band of rain most capable of producing widespread street flooding and leading to rises on bayous in the area. The areas most vulnerable to flooding will be those that see the most rain during the day today and in the early evening. Our assumption is that we’ll see this occur along and northwest of US-59. But we will obviously know more this afternoon as this event begins to setup. Once all is said and done, we expect two to five inches of rainfall across the area, with a few locations perhaps seeing as much as five to ten inches of rain. That will not be the case in most of the area, but there will be dollops of some of those bigger ticket totals in parts of the region. As noted, where those occur will determine who exactly is at highest risk of flooding. Obviously, use extreme caution if you’ll be travelling tonight and never drive through flooded roadways, especially at night, when it’s extremely difficult to judge how deep that water is that’s covering the road. Eric will have an update on how things are progressing later today. Rain will lighten up after the main line pushes east. Lingering rain and showers should be over with in Houston by about 9-10 AM. We might see some partial clearing southwest of Houston during the afternoon, but otherwise, I would expect overcast skies and perhaps some drizzle at times. It’s going to be chilly this weekend. Temperatures will drop tonight from the 60s into the 50s, and with a breeze all day Saturday, we’ll probably ease back into the upper-40s across much of the area. It will feel like early winter. Cloud cover will likely stay locked in on Saturday night, and that means that temperatures won’t free fall. We will see lows in the 40s in most spots however. There could be some upper-30s in northern parts of the region. On Sunday, that cloud cover means that temperatures won’t warm up much. We’ll likely see highs top off in the upper-40s at best. If we see some clearing, some spots could approach 50 degrees, but I have found that in these situations, you always undercut weather model expectations and think colder. Sunday has the look of a gray, dreary day that’s punctuated by a few glimpses of sunshine toward evening. Clearing skies Sunday night means we will likely see lows in the 30s, but we are not expecting a freeze in our area as of right now. We should have a nice day on Monday, with sunshine and temperatures in the 50s. 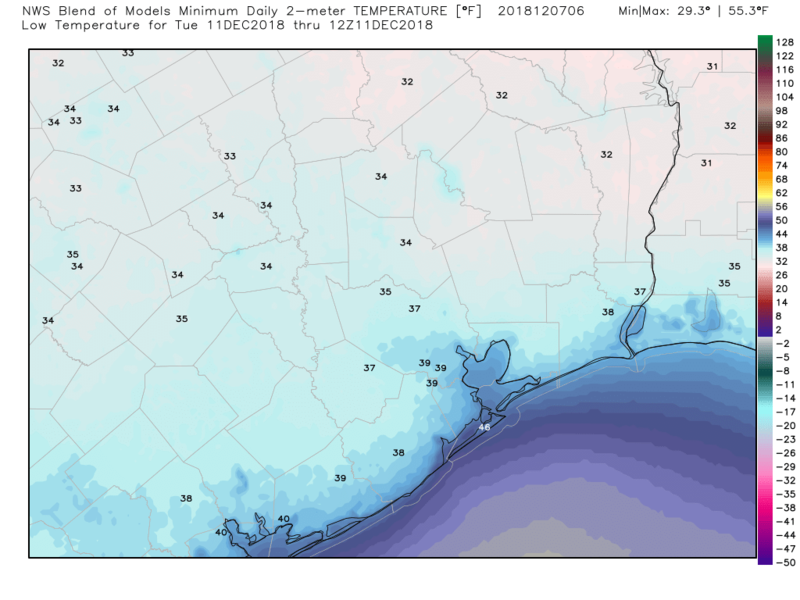 The coldest night behind Saturday’s front may actually be Monday night into Tuesday, when much of the area away from the coast will drop into the 30s. A freeze is unlikely for most of us, but places like Conroe or very rural, sheltered spots could briefly dip below freezing Tuesday morning. Tuesday should be similarly nice, with mid-to upper-50s. Beyond Tuesday, it looks like we’ll see another front come through here. Fortunately, weather modeling is not anywhere near as aggressive with rain risk along that front as we see today. Expect warmer temperatures Wednesday and Thursday (70s possible? ), followed by a modest cool down heading into the weekend. Serious question. I am supposed to drive home front Dallas to Spring today, leaving about five this afternoon. Will this be inherently too risky, based on the expected rain patterns and amounts? Thank you for your report this morning! It is not ideal, especially for the middle of the drive between Dallas and Spring, when you probably will hit some heavy showers. However, I think the worst of it probably will hold off until after midnight. Thank you! With the worst not expected until long after my estimated arrival, I’ll just carefully come back. I greatly appreciate your input. Stay safe today! National Weather Service estimate for rain in my area (Champions) for the next 24 hours is 4.43 inches. About the drains: don’t forget to clear the drains in your own yard if you have them. Clear your gutters if you can, too. Thank you for the reassuring update! My dear Fulgencio had been up all night worrying but I kept telling him we would be ok. Looks like a fun Friday night with dinner and the wine at home! Blessings to all and stay dry! In Galveston there is warning of very high and stacked tides, do you see that making flooding a higher risk earlier on for the island? Eric, thanks for the great info. How would you adjust your forecast for Polk County? Polk is at a higher risk for 5 inches of rain than Houston would be. I am attending a memorial service in kerrville today. How will timing and rainfall amounts here compare? Some in the party are choosing to drive back to Houston leaving Kerrville at 7pm(!). Where likely may they encounter the most daunting rain. Thank you. In Kerrville there will be scattered showers or storms today. The main line arrives there around 8-9 PM and moves east from there. Between Kerrville and Houston there will be scattered downpours and heavier storms. It will probably be a manageable drive, albeit an unpleasant one at times. The heaviest stuff along I-10 won’t get to the areas between San Antonio & Houston til after 8-9 PM. Just be safe, whatever you decide. 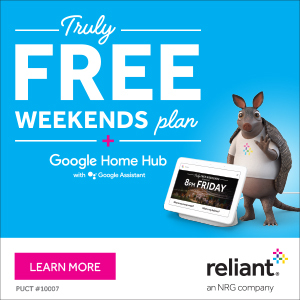 Supposed to be driving from downtown Houston to downtown Dallas this afternoon, leaving around 2-3. What can I expect? Should I hold off on the drive? Thanks! I don’t know that you need to hold off on the drive, but just be prepared for moderate to heavy at times rain along much of the route. It won’t be pleasant. Do you still feel the chances are low for Houston metro to see severe weather in the way of isolated tornadoes and gusty winds? Not zero, but low, yes. The highest chances for that will be along the coast and south of our area. Gusty winds are likely however overnight as the main line of storms comes through. South as in Clear Lake? South as in Clear Lake or like down by Victoria and those areas? Thanks! I’m heading down to Galveston tomorrow morning to jump on a cruise ship. I ain’t bragging; just wanna know what to expect driving, and if possible, cruising weather. Thanks! Driving will just be wet roads or some lingering showers. Cruising should be a little choppy on the way out, but it’ll improve eventually I’m sure. Just curious why this front is bringing so much more rain than other fronts. Is it just a really think band that’s moving slowly or even stalling? It’s just a more vigorous storm than usual and it’s carrying near-record atmospheric moisture for this time of year. In other words, it’s just more juiced up than usual. So not to be all about me, but my Montrose area (big number) birthday party from 6-9 should be generally OK?